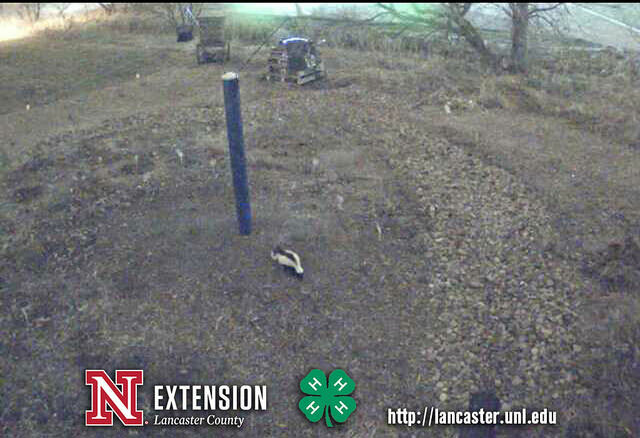 About this photo: One of the skunks we see regularly in habitat photos captured with the live cam. Last fall, a Web camera was mounted so everyone could watch a live stream view of the Cherry Creek Habitat 24/7. In addition to the change in seasons, viewers have also enjoyed wildlife using this educational area. A couple weeks ago, I went through the camera still shots and pulled together some of the highlights from January-April 2015. Vicki in our office posted the photos to Flickr. The list of wildlife includes: two different skunks, two raccoons, two cats, a small herd of deer, rabbits, squirrels, birds and a wild turkey. There is a description with the date/time of day each still photo was taken. Cherry Creek Habitat Web Cam Still Photos 2015 – more photos will be added each month. Enjoy! 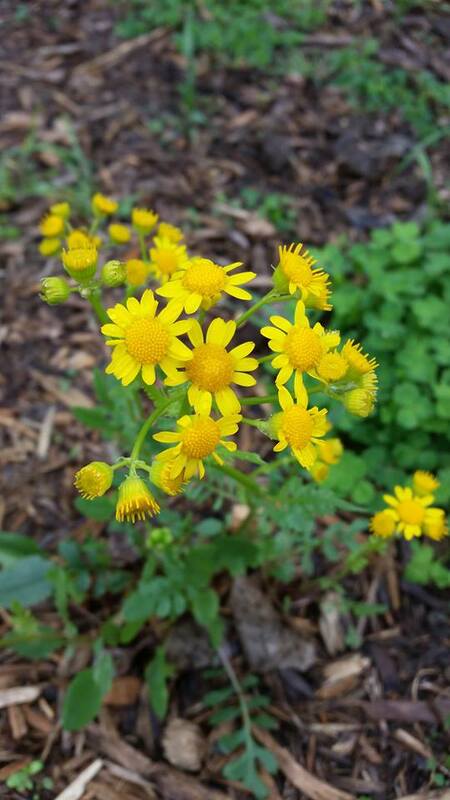 Prairie ragwort is a native plant that blooms May through June. This wildflower is a biennial or short-lived perennial that is approximately one foot tall. It attracts many pollinators like bees, flies, moths and butterflies.